this was due to an accident I was not at fault for but the driver didn't have insurance. so long story short they forgot to send the little cover piece on the front bumper that covers the hole for the tow hook. then when they did finally send it the piece didn't fit the bumper. it's only a $5 piece and going back and forth with the idiots at the insurance co just isn't worth it. anyways I'm trying to figure out what bumper they gave me so I can buy the right piece for my bumper. how do I go about this? I've already tried a 2014 limited(my car) they we tried a 2017 limited since the part number changed that year. maybe a database of part numbers will help and I'll just order the other options and send back what doesn't fit. any help would be greatly appreciated. pics of the bumper sans cover piece in case it helps. That doesn't appear to be an OEM Subaru bumper. The "mustache" part should have a different texture than what is pictured. That's probably why your spare '14 piece won't fit. B) It looks like it has cracks. Is that due to trying to force the piece in? Basically, drop it off at the body shop, ask insurance for a rental and do not accept it back until it is repaired correctly. I got a cover piece for a 2017 bumper and the texture matches but the piece doesn't fit at all. I'm good friends with the owner of the shop and I know this isn't his doing. The insurance co sent him the bumper and didn't send the piece. then a few months later he finally got the piece and it didn't fit. when I bought the 2014 piece on my own that's when I noticed the texture difference. So I spoke to the parts guy and we concluded that the 2017 piece might fit because the texture matched. we were both wrong there. Mine is a limited. I wonder if the premium bumper is different and that might be what they sent me. Can you post a picture of the whole bumper? I got a cover piece for a 2017 bumper and the texture matches but the piece doesn't fit at all. The mustache on the '17 is actually a separate piece. It does not look to be here - if the picture is telling the tale properly, that'd be why. Not to mention the other differences. here's a better pic of the bumper. I got a little close so some detail might be seen better. if anyone knows what year/model this is that would be awesome. Looks like a bone stock pre 2017 to me. No difference bewteen models jut the one change in 2017.
do you mean the 2016? because it looks like that indentation at the top of the black plastic part in the middle is shorter and the 2017 goes to the corner of the painted part. Since nobody else has answered I went digging. 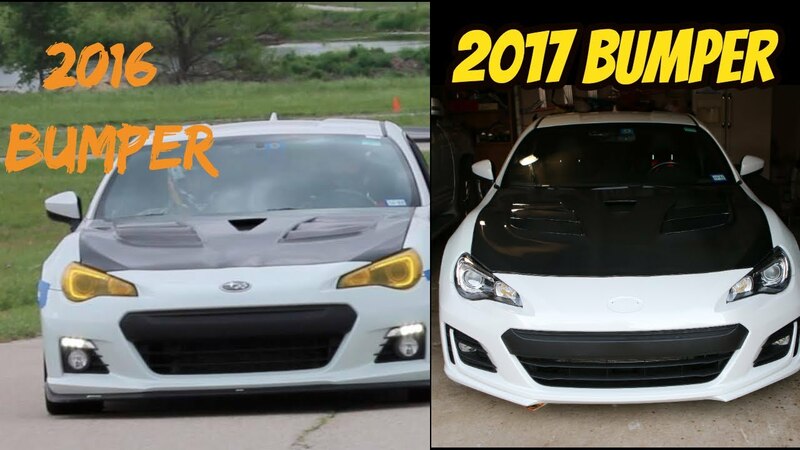 The part numbers for the bumper cover (all the parts except the fog light housings are actually) are the same for both levels from 2013 right up to 2016. The only changes ever was the 2017 facelift. The only possible way your part could not fit is if it is 17+ or not OEM.